We've published a brand new 3D animation of the LEGO Factory Playset! Let me know what do you think about it! I like the modular design. It gives you the possibility to extend the factory area, or add something completely new. gj! Yep, that's why I built it that way! Thank you! Unlike in the LEGO buildings I have seen this far, tight and crowded, there is a lot of space in those rooms. That is certainly refreshing. The entrance hall is probably my favourite. I would do something about the wide flat surfaces of the roof sections, though - like, add something to make them less dull (they kind of make the whole thing look unfinished). Plants, for instance, or a helipad (and a chopper), or a playground for the children of the employees, or a semi-open-air lounge... Whatever fits. Hi! Of course it still matters! I know it will expire in a few days, but suggestions are always welcome! 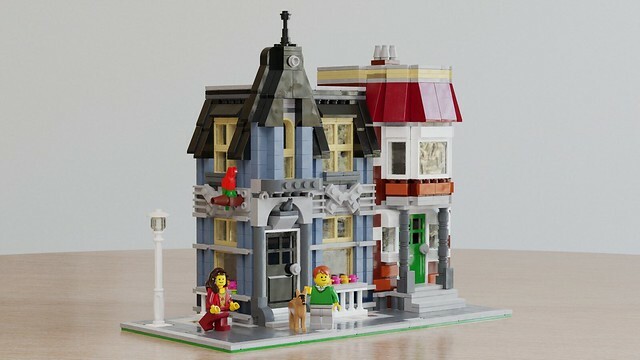 Thank you so much - maybe I'll submit in some months/years an improved version of it on LEGO Ideas! You will have my support then just as you have it today. That's really good to hear! Thank you! That's great! I'm from Vojvodina (North Serbia), but my mother tongue is Hungarian. my mother tongue is Hungarian. Goddamit, and we've all been speaking english here Minden jot kollega! Köszi szépen, nektek is minden jót! Köszönöm viszont kívánom . Yes I will remain to English.